Today was the day to turn over the vegetable garden and rake the leaves. 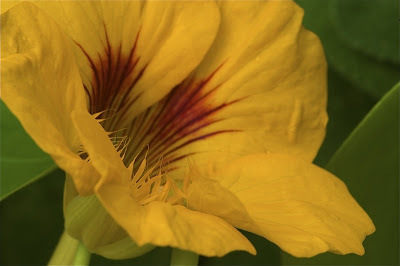 Before starting, I needed to pull all the beautiful wild nasturtium that had grown throughout the garden. 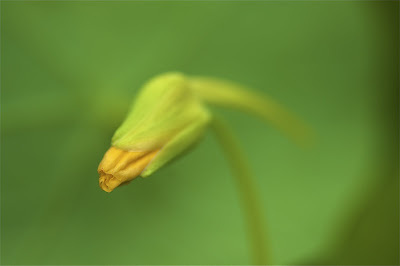 As I pulled the first few plants, I just had to get my camera and take a few last shots of the little orange blossoms. Got my camera, took a few pictures, then finished the job. After that, I came in and downloaded the photos. 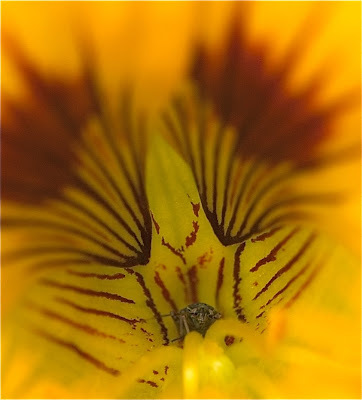 In one photo, in the center of a nasturtium bud, there to my absolute delight was a tiny little bug hiding way back behind the stamen, sitting on a star. He looked like a little frightened frog. I never even noticed him when I took the photo. Check it out. Click on him to see a little better. Isn't nature amazing? What a window you provide into other worlds! Hollins Reunion in Washington D.C.